Believe it or not, the most wonderful time of the year is right around the corner. In the blink of an eye you will be checking your list your guests. In all of the hustle and bustle that is associated with the holiday spirit, it’s easy to forget about the true spirit of holidays. But it’s never been more simple to regain some of that holiday spirit by getting rid of some of the chores you normally have to do every year. We hang Tulsa Christmas Lights all across the city for residences and businesses. Our name is Green Leaf and we want to be your Tulsa Christmas Lights experts this holiday season. Please give us a call today at 918-640-6405 or visit us online for more information. We look forward to being your service provider of choice this holiday season and we can’t wait to get started on ringing in the new year as well. Christmas lights are not only a great gift for yourself, but they also one of the best ways to help your friends, family, neighborhood, and coworkers church the spirit of the holiday season. Green Leaf makes this easy, whether you know what you want or you prefer we create a customized design exclusively for your property. Decorating your home or business with a beautiful lighting display for the holidays is not need to be one more thing to add to your to do list. We been providing holiday light installation for years, and we take great care to safeguard our excellent reputation by continuing to provide professional, courteous, and prompt service. As always we stand behind our work in guaranteed your complete satisfaction through the entire process. In addition to Tulsa Christmas Lights, we also provide lawncare. If you’re looking for lawn mowing, lawn maintenance, mulching, and much more, you can find it all in. 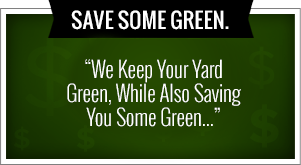 Green Leaf is passionate about making your lawn with the very best it can be. Our entire teams completely devoted to helping you create a line that you will be thrilled to show off your friends and family. 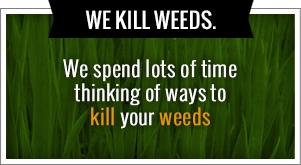 We also do weed control and fertilization for the people of Tulsa. Our systems uses herbicide application, fertilizing, and a variety of proven methods to eliminate weeds from your home and office. Oklahoma is notorious for having a variety of weeds that are native to the area. These native weeds can wreak havoc on your lawn at their left untreated and unattended two. Don’t fall victim to these nasty, unsightly weeds in your yard. Get proactive about the solution by hiring Green Leaf. We promise to make you happy and exceed your expectations on a daily basis. So for your holiday lighting needs, lawn care, we control and fertilization, and so much more, call the experts at Green Leaf Lawn Service today. Our numbers 918-640-6405 and we look forward to servicing you and your family throughout the year, no matter what season is underway at the current moment. The undeniable beauty that comes with decorative lighting has become the most recognizable symbol to encapsulate the magic of the holiday and Christmas season. It is for this reason that so many homeowners out their spin many cold hours outdoor sticking up strings of lights their homes exterior each year. Anybody who has ever tackle this major feat understands just how exhausting and tedious it can truly be, and it’s no wonder that it is typically considered be one of the most dreaded annual household jobs. Not only does it involve putting up the lights, but it also involves taking them down. To say that it is both labor and time intensive is a major understatement, but don’t let this turn you off the idea of putting up holiday lights this year. The professional residential holiday lighting installation service, you and your neighbors can enjoy the breathtaking beauty of your property as it shimmers through the Christmas evenings. Green Leaf provides Tulsa Christmas Lights that allow you to decorate your home underneath the winter sky without even having to lift a finger or climb a ladder. Give us a call today at 918-640-6405 for more information and visit us online at www.greenleafweedcontrol.com to find out how we can service you for all of your Tulsa Christmas Lights needs. Green Leaf Lawn is a company founded in Tulsa Oklahoma by Jamie Nix and Josh Mathias. They teamed up to change the way people think about lawn care services and Tulsa Christmas lighting in the winter. Both of these gentlemen have been working in the industry since 1998 and are native to Tulsa, Oklahoma. We are the service providers of choice when it comes to lawn services for Mathis brothers and Outback Steakhouse. Our passion is assisting the people of Tulsa when it comes to beautifying their home and lawns year-round. We not only provide exceptional service, but our team is good at all of the aspects of our business. We focus on putting our best foot forward before we even start up the lawnmower each morning. Are extremely economical way of cutting lawns means that we get the job done very fast so you can enjoy your home and lawn in a hurry. We’re going to save the customer both money and time by focusing on doing things right the first time. We take away the headache and give you back the time to enjoy your life in your beautiful home. We pride ourselves on following a very routine schedule so there’s never any question of when your lawn will be manicured. We set up the time and we executed with expertise that you can trust. So if you’re looking for professionals to decorate your Tulsa home for the holidays, do not fear because Green Leaf is here. We are ready to help you out during the holidays and get your property looking fantastic. If this is not a time to stress out, instead just enjoy being with your friends and loved ones and let us do the hard work when it comes to decorating your home this holiday season.